Baroness, who release their fifth album, Gold & Grey on June 14 via Abraxan Hymns, give fans another early listen to the 17-track collection with the release of a video for “Seasons” (http://smarturl.it/baroness-goldandgrey). “The term I kept using was that I wanted to create something that was more kaleidoscopic than our former records,” says Baizley of the band’s approach to the new album. “We were trying to say something new with our instruments, with our sound intact, with the spirit of the band intact, but not applying the typical conventions when possible. 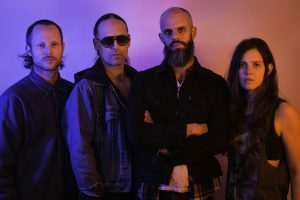 Baroness, who are in the final few days of their current co-headlining run with Deafheaven, have also announced a five week U.S. “Grey & Gold Tour,” kicking off on July 11. Tickets are on-sale this Friday, April 12, at 10 am local time.